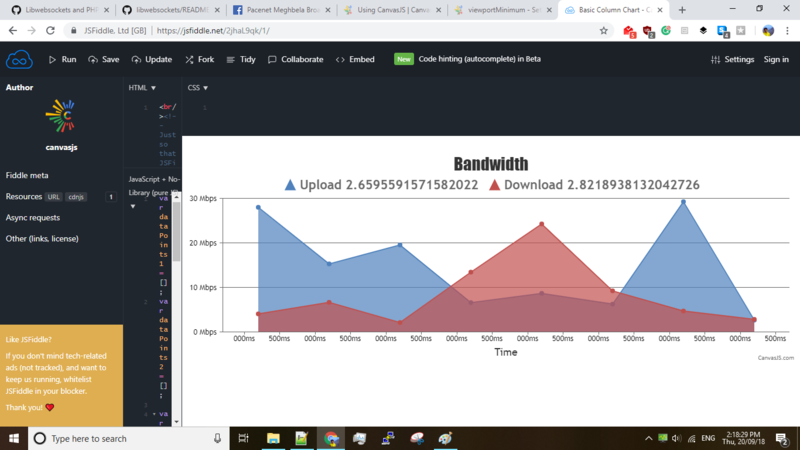 I am trying to display live bandwidth utilization using canvas JS. I have faced some difficulties to implement the CanvasJS library. Please help with the followings. Thank you. 2. I tried to fix the long random number and tried rounding it with 2 digits after decimal points. In the above JSfiddle, line 66-67, I used .toFixed(2) but the graph plot disappeared. 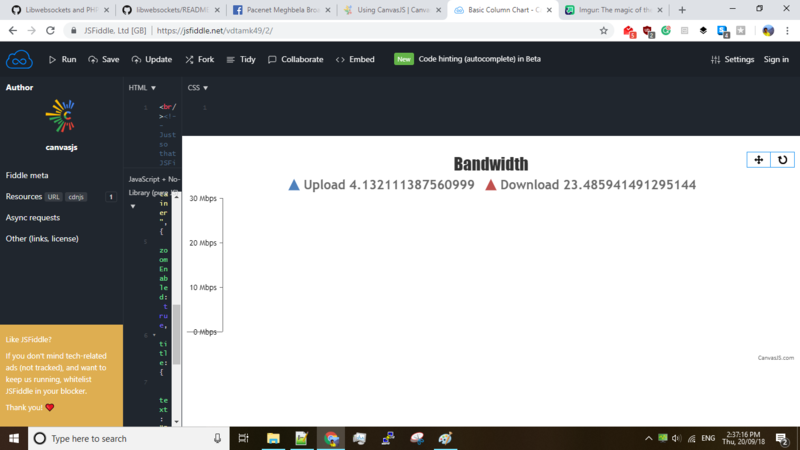 I tried to display the live statistics only for the last 1 minute. I used chart.options.axisX.viewportMinimum = (time.getTime()-60000); (at line 76 of the above JSfiddle) everytime I pushed a data point. 3.a) Is there any better option to achieve this? 3.b) manual select and zoom feature is buggy (it changes every time the viewport is changed, which is every 1 sec in my case). Can it be fixed? If not, I want to remove the pan, zoom, reset buttons from the top. How to remove them? 3.c) In the first second, the x-axis is inverted. How can I fix it? Considering this post to be a duplicate of this thread and hence closing it.